DNA’s structure and replication mechanism were discovered by Francis Crick and James Watson in 1953 – the greatest discovery in twentieth century biology. Remarkably, neither Crick nor Watson had performed a single successful DNA experiment themselves. Each of them had been funded to work on other projects. Watson and Crick, along with Maurice Wilkins, received the 1962 Nobel Prize in Medicine for their work. 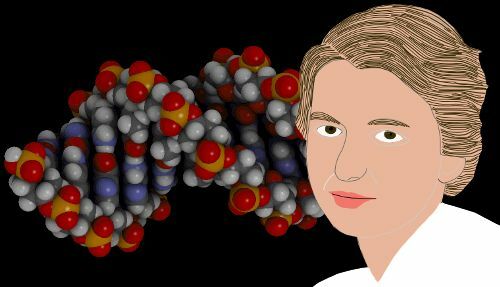 Rosalind Franklin’s role as chief data provider for the discovery had faded into obscurity until James Watson revived interest in her work with his controversial 1968 book The Double Helix. Watson portrayed Rosy – as he called her – in an unflattering light. 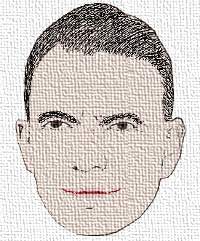 He made amends slightly in an epilogue in which he said his intention in the book was to convey his actual impressions as a young man during the discovery period and – particularly with Rosalind Franklin – his impressions had often been wrong. Watson added the epilogue after he received outraged reactions to his first draft of the book from Francis Crick and Maurice Wilkins. Rosalind Franklin had died in 1958 and was in no position to comment on the book. Despite edits Watson made to his drafts, Crick and Wilkins were not satisfied, and they succeeded in pursuading Harvard University Press to withdraw their offer to publish it. The unexpected benefit of Watson’s book was to revive public interest in Franklin’s forgotten DNA work and awareness of her story, which was probably most skillfully dealt with by Brenda Maddox in her 2002 book The Dark Lady of DNA. Unfortunately, the role of a number of other scientists in finding pieces of the DNA jigsaw Crick and Watson completed in 1953 is still less well known. Some of the names will only be recognizable to people already familiar with DNA’s story. Others, such as Dorothy Hodgkin, are already renowned, although perhaps not for their contributions to DNA. In 1871 Friedrich Miescher at the University of Göttingen in Germany published his discovery of a new substance. He called it nuclein, because he had extracted it from the nuclei of biological cells. Today we call it DNA. In the 1880s and 1890s Albrecht Kossel at the University of Berlin in Germany identified the four bases (in the acid-base sense) that can be found within the DNA molecule: adenine, cytosine, guanine, and thymine. These bases are often abbreviated to A, C, G and T.
Today we know that these four letters carry the genetic code – the words, sentences and paragraphs of life. Phoebus Levene was head of the biochemical laboratory at the Rockefeller Institute of Medical Research in New York, USA. He could be seen as both a hero and a villain, albeit a well-intentioned villain, in DNA’s story. On the one hand Levene greatly advanced our understanding of the chemical units in DNA, but on the other hand he stated that DNA could not be genetic material. Levene discovered deoxyribose (the D in DNA) in 1929. He also coined the term nucleotide to describe another of his major discoveries: that DNA is made of repeating units of phosphate-sugar-base. Levene wrongly believed that all DNA contained equal amounts of the bases A, C, G and T, and therefore, because it lacked variation, he ruled it out as genetic material. This proved rather influential, so even after Oswald Avery and his colleagues demonstrated in 1944 that DNA carries the genetic code, there was a lot of resistance to the idea. In 1938 Levene pubished work showing that DNA is a huge molecule, with a molecular weight of 200,000 – 1,000,000. Until 1938 most scientists believed that DNA was the size of one nucleotide – i.e. one phosphate-sugar-base unit. Florence Bell took some of the first X-ray diffraction photos of DNA in 1938 and 1939. Bell was a Ph.D. student working with William Astbury at the University of Leeds in the UK. Bell and Astbury identified correctly that the A, C, G, and T bases are attached to a supporting backbone. They described the arrangement of bases as ‘a pile of pennies’ and were the first to measure the spacing between each of the ‘pennies.’ The spacing they found of 0.34 nanometers was correct, and it was the spacing Watson and Crick used in their model of DNA. Moreover, in 1938 Bell and Astbury provided evidence that DNA is a huge molecule. In 1949 Sven Furberg, a Ph.D. student at Birkbeck College, London, UK, suggested the A, C, G, and T base units were held within a double helix, at right-angles to the length of the molecule. He suggested that another of DNA’s chemical units, the phosphate group, is oriented to point outwards from the molecule. He was correct. In 1938 Rudolf Signer at the University of Bern in Switzerland reported that DNA is a huge molecule, with a molecular weight of 500,000 to 1,000,000. In May 1950, at a meeting of the Faraday Society in London, Signer offered very high quality DNA free to anyone who was interested. Maurice Wilkins from King’s College London was very interested and Signer gave him a sample. It was Signer’s beautifully prepared and freely given DNA sample that Maurice Wilkins and then Rosalind Franklin used in their work. Stokes then did a mathematical analysis using Bessel functions to predict how X-ray diffraction photos of helical structures would look; his analysis was used by both Wilkins and Franklin. Gosling and Wilkins’s photos grabbed the attention of James Watson, pulling him to the UK in his quest to solve the mystery of the gene. In 1949 and 1951, Erwin Chargaff published important papers adding two very important pieces to the DNA jigsaw. Firstly, in DNA from different sources Chargaff found that the ratio of bases A:T was always 1:1 and the ratio of bases G:C was always 1:1. To Crick and Watson, this suggested that in DNA these bases were paired with one another. Ultimately their double helix model would explain the reason for base pairing. Secondly, Chargaff discovered that the amount of A and T relative to G and C varied from species to species, countering Levene’s earlier idea that DNA lacked variation and so could not be genetic material. One of the keys to DNA’s structure was Francis Crick’s reading of a report by Rosalind Franklin in which she said that the space group of DNA crystals is face-centered monoclinic. Although a number of other scientists were aware of this fact, Crick saw what they had been blind to – he saw that this space group implied that DNA was a dyad: if you rotate a molecule of DNA by 180 degrees, you get back to where you started; this allowed Crick to visualize the double helix structure. It was a major breakthrough. The face-centered monoclinic identification came first from Dorothy Hodgkin at the University of Oxford, UK. Franklin had ruled out all but 3 of 230 possible symmetry types for DNA crystals. Hodgkin was then able to rule out 2 of Franklin’s 3, leaving only one: face-centered monoclinic. Jerry Donohue shared an office with James Watson at the University of Cambridge’s Cavendish Laboratory. Watson had been trying without success to see how the four bases A, C, G, and T could fit within Crick’s dyad double helix. He told Donohue his problem and Dohohue was able to tell Watson that textbooks were wrong about the behavior of the G and T bases – they would exist in the keto rather than the enol form. And Watson then had his revelation about how the bases would line up within the double helix. This was the final piece of the jigsaw. Watson and Crick built their model of DNA and saw that its structure naturally suggested a method of replication. Images digitally enhanced by this website. © All rights reserved.